It's the final push to Christmas with a short 3 days to go! We spent our final weekend before the big holiday cooking up a storm, last minute shopping, wrapping presents and getting organized for house guests. 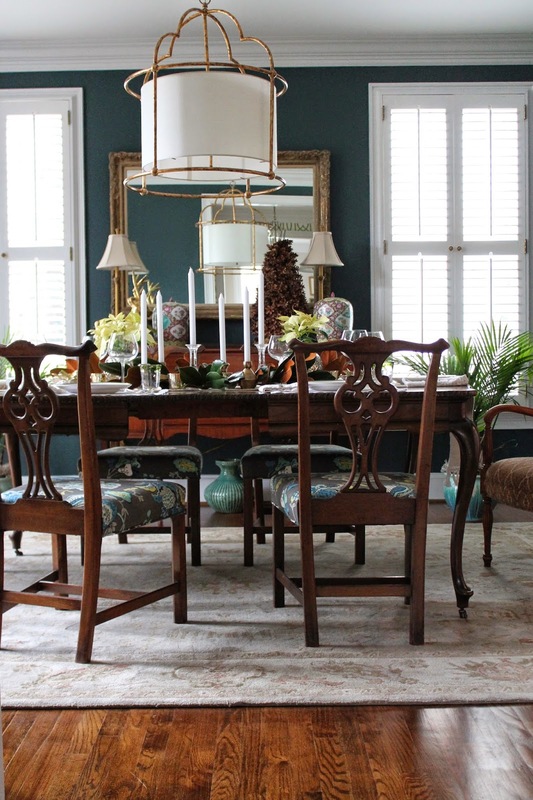 Among the many tasks on our list: setting the Christmas table. I'm not one to use a tablecloth. I love the look and warmth of a wood table and have yet to regret not using a protective cover. Instead, I'm all about the runner. I've been using this one, with a subtle gold thread that adds a touch of glamour, for years. Besides being all about the runner, I'm also all about the low and unobtrusive centerpiece. (Clearly I've got All About the Bass, No Treble on the brain.) Nothing interrupts a good chat over a nice meal like a huge centerpiece you have to lean around to see your dining partner - you know it's true. 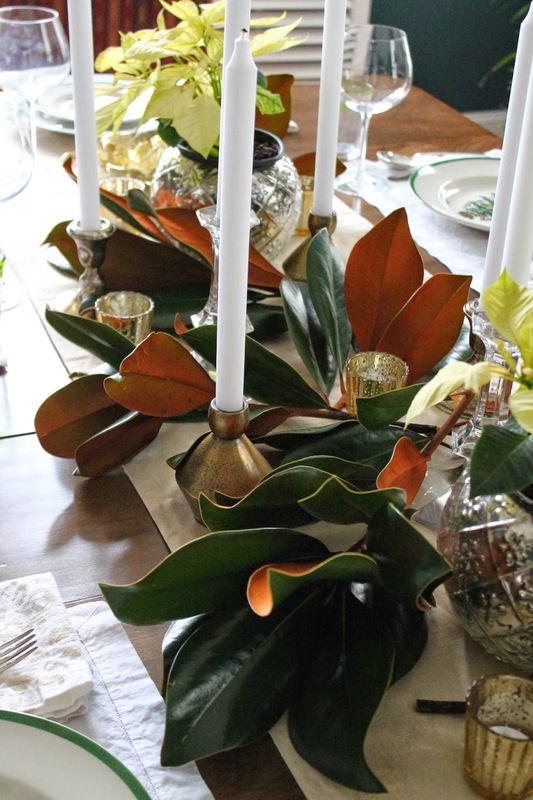 This year we've kept things simple with mismatched candlesticks, magnolia branches, and white poinsettias. The candlesticks aren't the only mix-matching we did on this table...The green leaves in our formal china play nicely with our traditional Spode Christmas plates. Almost as nicely as our vintage silver plated soup spoons mix with the mother of pearl knives. Our everyday green rimmed drinking glasses are the perfect ending to this mismatched place setting. We're looking forward to hosting Christmas this year, especially in this mismatched dining room, our guests arrive tomorrow. I'll be signing off until after the holidays. Have a wonderful Christmas!